Finally a little sun ! 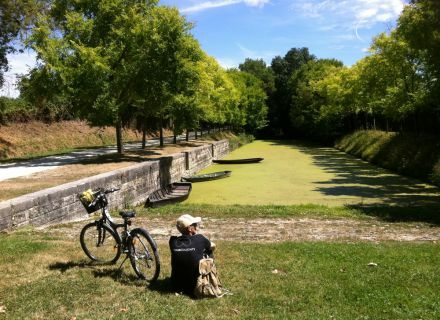 And if we took advantage of these beautiful days to go to make a bike ride in the “Marais poitevin” ? 300 km of bicycle paths are marked out in the “deux-sévrienne” part ! Of what to make beautiful strolls in family or between friends at the heart of this Regional Natural reserve. In a loop or in touring, as you think best. 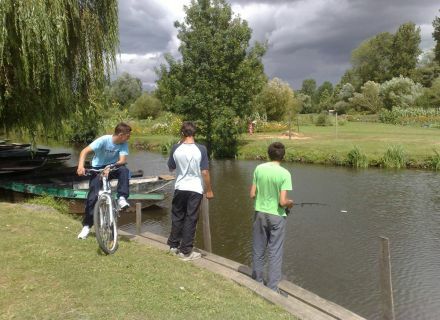 There are many circuits bike, you have the possibility of making more or less long strolls according to your desires. And if you have no bike, no panic, renters of bikes are present in certain villages. They will know how to advise to you on equipments and on routes. Meetings also in the receptions of the Tourist office in Niort, Coulon, Arçais and Saint-Hilaire-la-Palud, our councillors in stays will know how to inform you. 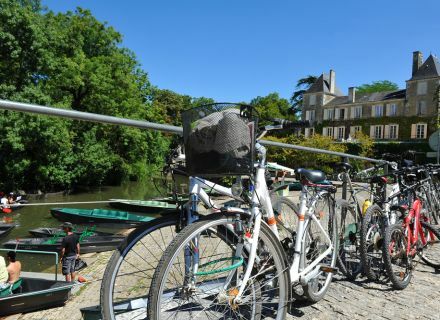 You will find there at the same time maps "Le Marais poitevin à bicyclette" presenting all the cycle routes. You do not want to take the car to return you to the starting point of your circuit ? No problem ! 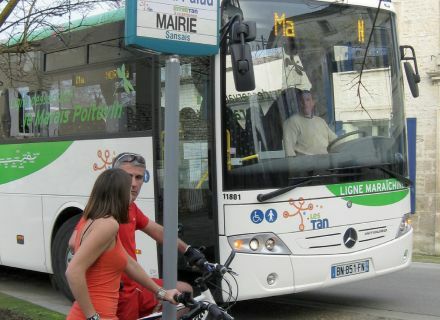 The line Maraîchine is a tourist line which serves the “Marais poitevin” by bus from May till September. From Niort, it puts down to you then in the villages of Magné, Coulon, Sansais, Le Vanneau, Irleau, Arçais and Saint-Hilaire-la-Palud. 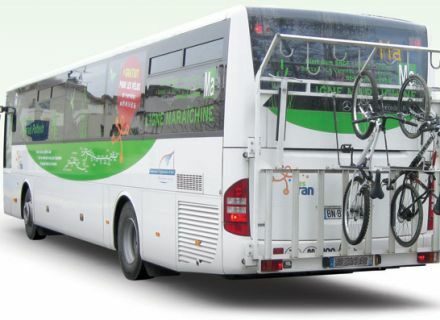 And it can transport your bikes free of charge (on reservation with the Kiosk Information Bus, Phone. : 05 49 09 09 00) ! 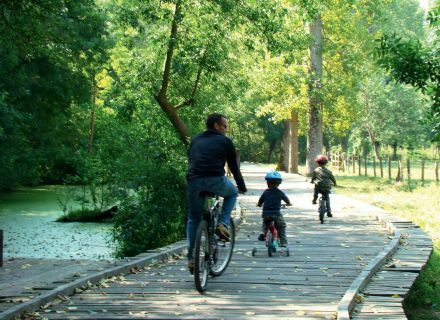 The purchase of a return ticket also allows you to benefit from special offers in certain restaurants, renters of bikes and landing stages of the “Marais poitevin". Nice isn’t it ? 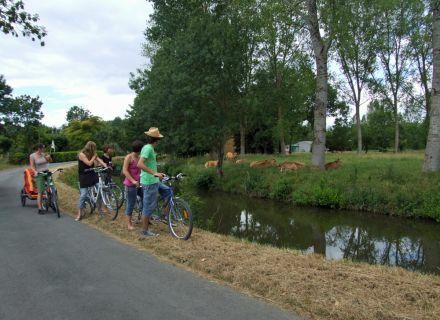 Cycle in the “Marais poitevin”, it is to follow river Sèvre via towpaths, it is to cross the alleys of villages (Coulon, La Garette, Arçais, Le Vanneau-Irleau…), it is to borrow small wooden bridges, it is to cross canals by boat in chain(as in Magné), it is to rush into the nature on the white paths… The most secret places of the Swamp offer themselves to you in some knocks of pedals. You can cross a heron, a coypu, a swan, see a herd of maraîchines cows grazing in a meadow, meeting a fisherman watching his line… In the course of every path, a new discovery waits for you ! Then, ready to leave making a ride ? Photos credits : Yasmine Pelletier, Dari, Philippe Wall.